Are old, tired windows bringing down the look of your home? Are your windows sticking, drafty, or uneven? If so, Arrow Renovation can help! We install high quality replacement windows in a variety of styles and materials, and our windows can give your home the upgrade it needs to improve appearance and comfort. Pella has a wide variety of home window styles and shapes to complement your home. 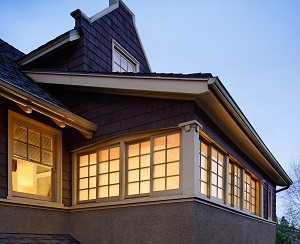 Our windows are available in wood, fiberglass, and vinyl. Pella's double-hung windows are a beautiful choice for any home, from classic to contemporary. Double-hung windows can be raised from the bottom or lowered from the top, offering two levels of ventilation. The sashes also lean in for convenient cleaning. Durable frame design that resists warping & twisting. A triple-pane glass that is 54% to 77% more energy-efficient than single-pane windows. Can be customized with our the most popular design features, including 11 exterior color options. Distinctive vinyl windows that provide superior performance. Features an exclusive SmoothSeam™ interior with welded corners that are virtually invisible. Can be customized with 11 exterior color options. Stronger & more durable than typical vinyl windows. Triple-pane glass offers 54% to 83% more energy-efficiency than single-pane windows. Casement windows are hinged at the sides and swing outward. They provide a clear view to the outdoors plus open and close easily with the turn of a handle. 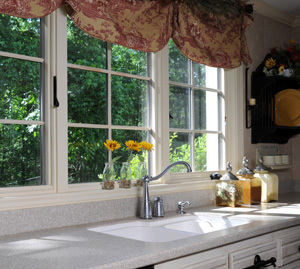 Pella casement windows are a great option for spots that are difficult to reach, like over the kitchen sink. Vinylmax uses state of the art manufacturing and the highest commitment to quality to provide one of the widest available selections of vinyl and wood windows. With all the improvements that replacement windows offer your home, why wait to make an upgrade? Arrow Renovation can give you a high quality solution that will make your home look great and be more comfortable and energy efficient! Call us today at 1-855-251-7315 to get started with a free estimate. We proudly serve in Leawood, Prairie Village, Lansing, Overland Park, Olathe, Less Summit, Lenexa, Raymore, Kansas City, Shawnee and throughout the surrounding areas.